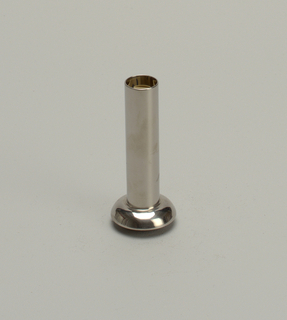 See more objects with the tag lighting, silver, metalwork, Jugendstil. 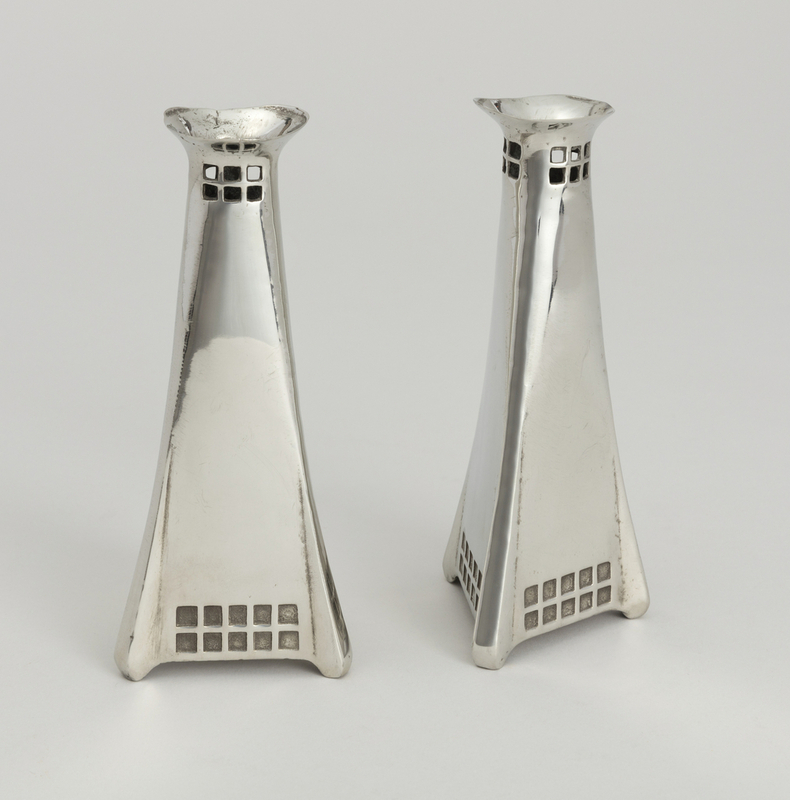 This pair of Osiris vases illustrates a transitional period in Peter Behrens’s oeuvre. The architect-designer was a key proponent of modernism, creating works such as the AEG Turbine Factory, which established a standard for the industrial aesthetic that would be embraced by the next generation of modernists. Behrens worked closely with his successors, mentoring, among others, Mies van der Rohe, Le Corbusier, and Walter Gropius, all of whom would contribute canonical works and theories to modern design. 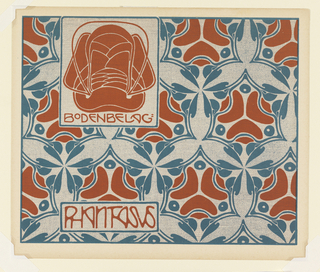 Before embracing the austere functionalism that characterizes his later works, however, Behrens was an important early disseminator of the German art nouveau, or Jugendstil (“youth style”). Taking its inspiration from the English Arts & Crafts movement, the Jugendstil found expression in inventive forms, organic lines, and vegetal motifs. 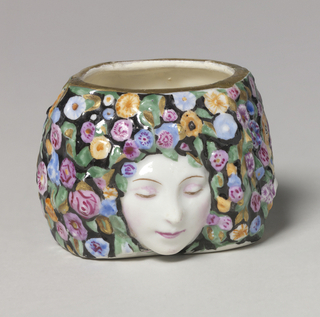 The Osiris vases are exemplars of Behren’s Jugendstil experiments; the mouth of the vases incorporates a gently undulating lip set atop a curved, pyramidal base. 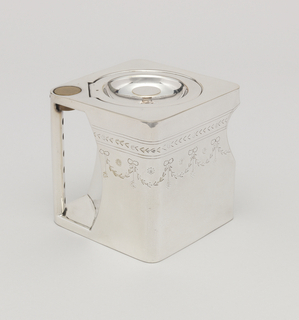 The highly polished pewter volume is punctuated by a rectangular grid of stamped squares towards its bottom, and by a similar grid of pierced squares near the lip. 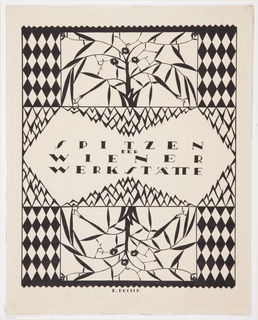 Although the volume seems alive with an organic character, the purity of form and gridded decoration indicate a shift towards the sober aesthetic Behrens would embrace after abandoning the Jugendstil and curving line entirely in 1904. 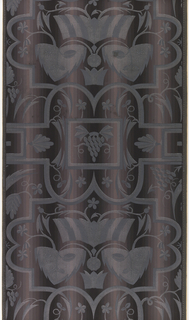 The Osiris line and these vases in particular mark a transition from Behren’s earlier, more organic works to the aesthetic and character he would develop and perpetuate through the Deutscher Werkbund.